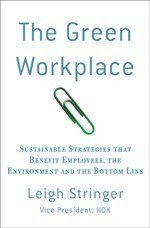 It’s rapidly becoming apparent to the masses that remote work can be good for the environment (less driving, less office space, etc. ); however, there are some aspects of remote work that can be hazardous to your health. This post is inspired by a section on bags & briefcases in this month’s Women’s Health magazine. In between extolling the virtues of different bags and briefcasses, the magazine plopped in an interesting fact: doctors recommend that you carry no more than 10 to 15% of your body weight. Having a job where I travel and sometimes work from home, I invested in an ergonomic backpack to help shoulder the weight. This was great…except that I would cram easily 40 lbs of stuff into it…that would mean I need to weigh between 266 and 400 lbs to carry this load (for the record, I do not). The average American woman weighs 140 lbs (source: http://www.inch-aweigh.com/dietstats.htm) - meaning that the maximum she should carry is 14 to 21 lbs. I’ve remedied my personal situation by purchasing a smaller, lighter backpack, and when my laptop lease is up, I’m going to lobby for a lighter version. Just something to think about as we transition more toward mobile workforces.